An aerial view of Chattanooga is seen in this file photo. 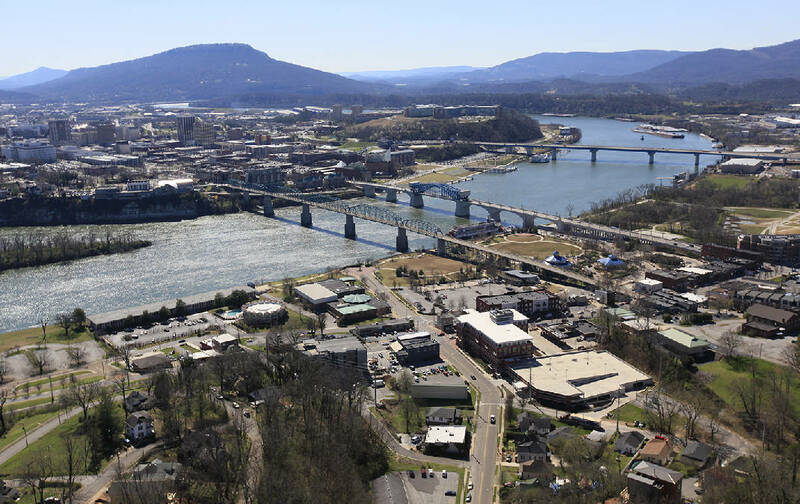 Chattanooga is among the first of 100 cities to be tapped for a $42 million national initiative aimed at making public data more available and used by government in decision making. Bloomberg Philanthropies has named the Scenic City and seven others as the first communities it will add to its "What Works Cities" initiative. The initiative will send experts to Chattanooga and other participating cities to help teach government to become more effective and efficient in day-to-day operations. Ultimately, Bloomberg will reach 100 mid-sized cities, but the first will be Chattanooga, Jackson, Miss., Kansas City, Mo., Louisville, Ky., Mesa, Ariz., New Orleans, La., Seattle, Wash., and Tulsa, Okla.
More cities will be added on a rolling basis through 2017, according to a news release Tuesday. Chattanooga Mayor Andy Berke speaks to members of the Chattanooga Times Free Press editorial board on May 20, 2015, in Chattanooga. 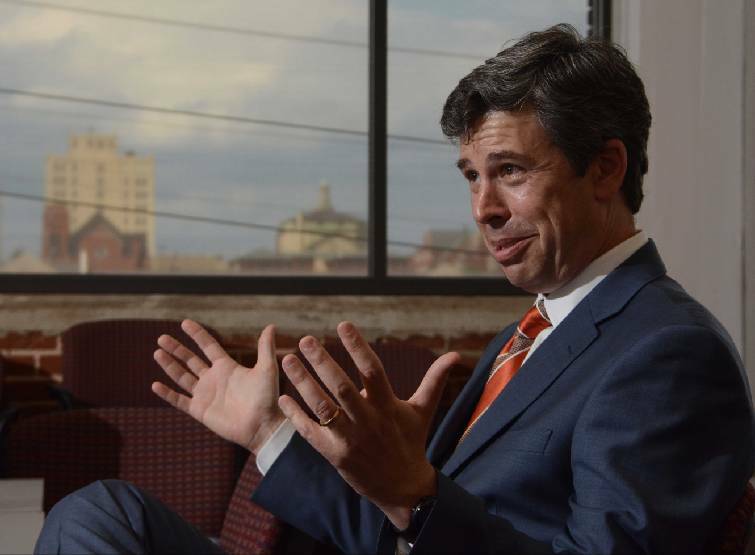 Chattanooga already has taken great strides in making public data more available through its open data portal, and Mayor Andy Berke says he looks forward to making full use of that information. "What Works Cities' world-class partners will work with our local team to help us deepen the culture of transparency, accountability and trust that we've worked hard to establish in our community through the use of open data," Berke said. "Specifically, we will be working to automate the flow of data to the city's open data portal to improve responsiveness to resident requests and increase access to real-time data." According to a Bloomberg Philanthropies statement, the initiative will add "performance management techniques" across departments in the city to improve decision making and strategy. Also, there will be some improvements to the city's Open Data portal so that it is more responsive and accessible to the public. The organization said cities across the nation already have used data to improve city work. New Orleans, for example, used data to help remove 10,000 blighted homes and increase existing home compliance with city code by 62 percent in two years, according to the statement. In New York, open transportation data was used to make smartphone apps to help residents make travel arrangements. Michael Bloomberg, former New York City mayor and leader of the philanthropic organization, said making use of data is "one of the best opportunities cities have to solve problems and deliver better results for their citizens." The first group of cities in the initiative have already demonstrated an interest and ability to improve life for residents, he said. Bloomberg Philanthropies is leading the initiative, but Results for America, the Center for Government Excellence at Johns Hopkins University, the Government Performance Lab at the Harvard Kennedy School, the Sunlight Foundation and the Behavioral Insights Team also are involved.